Spanish athletes have sharply criticized former tennis champion Yannick Noah over an editorial he wrote for the French newspaper Le Monde. In “La Potion Magique”, Noah suggested that the incredible sporting success of Spain in recent years was due to their unfettered use of “the magic potion”. The magic potion was meant to refer to anabolic steroids and performance-enhancing drugs. Noah asserted that Spanish athletes were more muscular than French athletes and offered this as the only “proof” that they had used steroids. 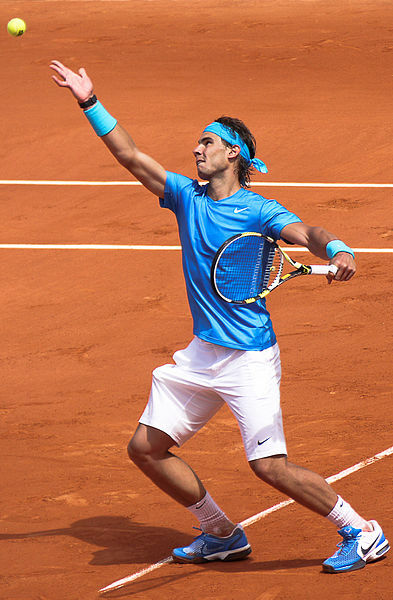 Nadal is one of several Spanish athletes who have participated in the country’s recent sports success. Nadal is widely regarded as one of the greatest tennis players in history. He has won ten Grand Slam titles including the 2011 French Open title and five previous French Open victories. He is currently ranked number two in the world. Tennis has not been the only sport dominated by Spain. The Spanish national soccer team won the 2010 FIFA World Cup. The national basketball team won the 2011 FIBA European Championships. Cyclist Alberto Contador won the 2010 Tour de France and the 2011 Giro. Spanish Formula One racing driver Fernando Alonso won the 2011 Turkish Grand Prix and 2011 British Grand Prix. “This man can either show some proof or he can shut up,” responded Josep Guardiola. Guardiola is the team manager of European soccer champions FC Barcelona (also known as Barça). Athletes in France have joined the chorus of criticism leveled at Noah. France’s top tennis player Jo-Wilfried Tsonga, France’s Sports Minister David Douillet and cycling Team Type 1 sports director Frédéric Moncassin have all criticized Noah for his editorial.